The number 8, corresponding to the year 2017, of Menga. 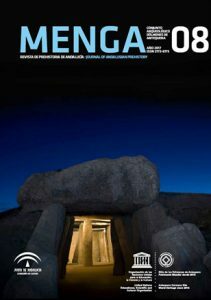 Journal of Andalusian Prehistory, edited by the Conjunto Arqueológico Dólmenes de Antequera (Consejería de Cultura de la Junta de Andalucía), has been published. Among the different sections that make up this volume, whose main dossier is dedicated to the "New perspectives in the study of bioarchaeological remains from the 3rd millennium BC in Southern Iberia," we highlight in the “Studies” section, the second part of the article by Dr. Eduardo García Alfonso “Las primeras importaciones griegas en Occidente y la cronología de la cerámica geométrica: hacia un nuevo paradigma (II)” (pp. 143-178), whose first part was published in number 7 (2016) of the same Menga Journal (pp. 101-132). 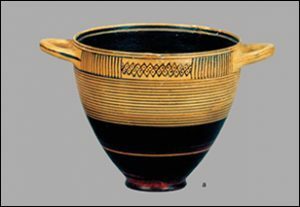 In this study the historical and archaeological problems caused by the gap between the radiometric chronologies obtained through the Calibrate 14C in the earliest Phoenician settlements in the Iberian Peninsula (second half of the IX century BC) and the chronologies traditionally accepted for the Greek pottery importations (Sub-Protogeometric, Geometric and Proto-Corinthian) that appear in these settlements, with dates between 800 and 700 BC.